First trial race between Defender and Vigilant, 30 miles windward and leeward from Scotland lightship. Defender's first race and win.Defender, designed and built in 1895 by N. G. Herreshoff to defend the America's Cup against Valkyrie III. Her bottom was polished bronze, but her topsides, deck beams, and some of her deck framing were aluminum (making her a giant battery with electrolys). The new cutter which is to be the defender of the America's Cup in the yacht races against the British cutter Valkyrie had her first trial over the outside course yesterday. 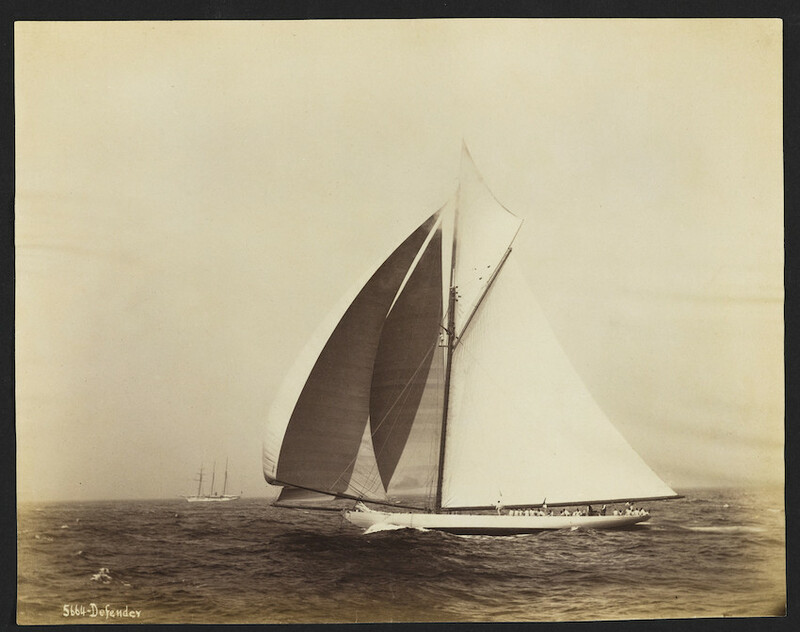 The Vigilant, which has successfully defended the cup against the previous Valkyrie, was used as a trial boat.